Back in the day, the only games that I have played with my full attention on were the Super Mario and Galaga. Those were the most famous ones every one around my age played. Me and my college friends would spend our afternoon shouting, swearing and comparing scores side by side for 2 hours in a computer shop. That was fun. I vividly remember when keyboards locked for too much pressing or banging when every gamer's too excited to win or reach their scores. Those were the times we quit, or the owner would have asked us to go out and transfer to another computer shop. Fast forward to today, where every pro gamers are very keen on winning. They need the right set of gaming gear to help them perform better. Rapoo launches the most advanced VPRO gaming peripherals on April 3 at Marco Polo, Ortigas. The event was graced by Rapoo executives headed by Kyle Guo, Rapoo R&D Director and bloggers. A great set of gaming gear does more than simply facilitate play – it is the key to mastering your strategy, and just like any other sport, finding the best set of gaming tools is necessary for them consistently perform at a high level. In eSports, gaming gear is just as critical as skill, and even the slightest lag, can spell the difference between a victory and getting fragged to oblivion. “Gaming has gotten a lot more serious these past few years, and there are already a lot of Filipino ProGamers who are making a name for themselves in eSports tournaments all over the world. We want to nurture the passion and talent Filipinos have by letting them experience the gaming gear used by the top CyberAthletes in the world,” says Kyle Guo, Rapoo R&D Director. “Today we are launching the newest range of gaming products from VPRO, which will help them take their gaming to the next level,” Guo adds. 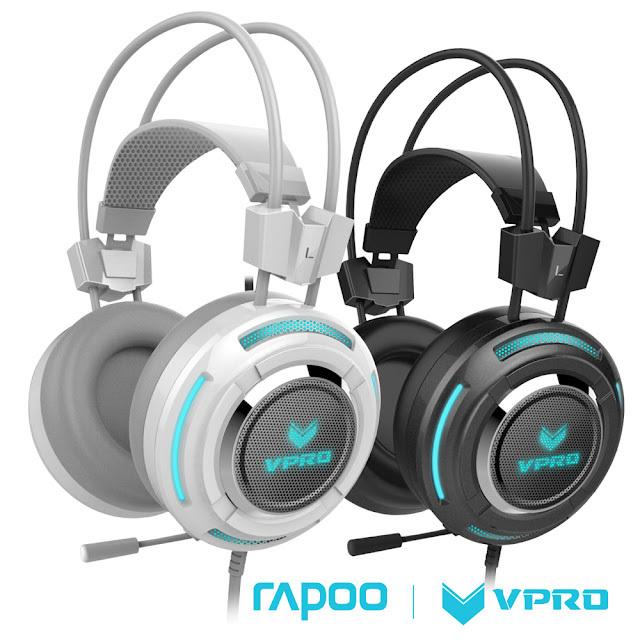 VPRO is a professional gaming brand under Rapoo with the complete range of good quality and best value performance products, including gaming mice, gaming mechanical keyboards, and gaming headsets. eSports is more than just play—it pays very lucratively. According to statistics compiled by eSportsearnings.com, the total prize money of gaming competitions in 2016 reached an unbelievable USD 94,445,235.87. The prize came from 3,995 tournaments participated in by more than 13,000 CyberAthletes. Known for its innovative and premium-quality product developments, VPRO is the premium gaming brand of Rapoo Gaming Labs. “Rapoo as VPRO Gaming will bring its strengths into the game by exacting product-quality standards, achieved by specialists from almost all fields of expertise needed,” says Lem Estiva, Rapoo Philippines Retail Sales Manager. Utilizing the vast experience of and incredible inventiveness Rapoo, VPRO is able to drastically shorten product-development cycles, allowing it to respond more quickly to new trends and the growing needs of the gaming community. Compared to its competitors, Rapoo's ability to develop and produce almost all components itself offers incredible advantages when it comes to value for money. 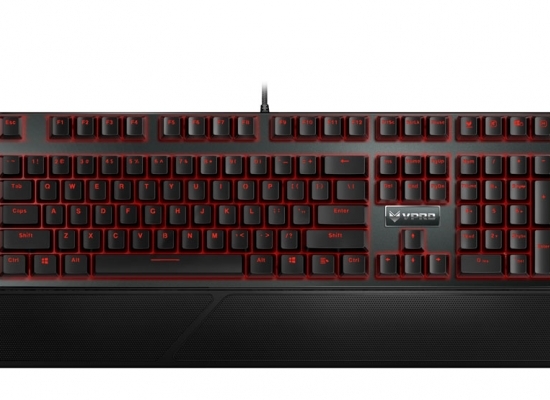 Leading the lineup of VPRO Gaming Gear is the VPRO V810 Backlit Mechanical Gaming Keyboard. With its stylish angular design coupled with high-grade materials and incredible build quality the gaming keyboard makes for a standout companion to accompany gamers on their triumphant quest for glory. The VPRO V810 features full mechanical keys and conflict-free design for all keys. The cherry mechanical key switches with a single key life up to 50 million operations, are durable and reliable in the game. Non-conflict design for 108 keys on the keyboard, allows you to press any number of keys simultaneously and ensures that your every command is registered and executed exactly and rapidly. It is equipped with a multi-level backlighting system for those late night top-secret gaming sessions. All keys on the keyboard are programmable (including single keys, combination keys and macro keys) in the game mode. The simplified game operations allow you to always be one step ahead. The keyboard also features five dedicated macro keys for those precisely timed manoeuvres conveniently positioned on the left-hand side of the keyboard. With a built in on-board memory, VPRO810 can save your personal profile settings and load it onto another PC. Another really cool feature is Gaming Mode, which allows rapid toggling between game and Windows settings. Combined with its freely programmable keys, the VPRO V810 converts into a true weapon of virtual mass destruction. 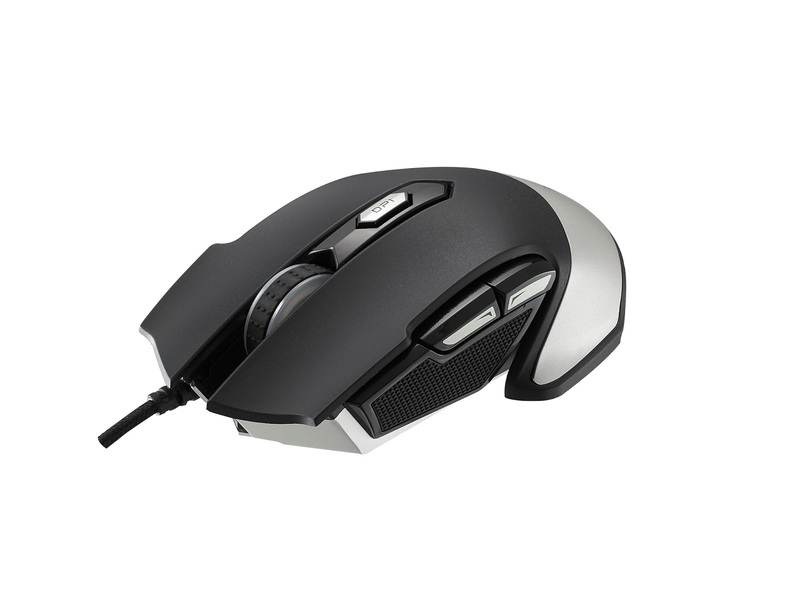 Complementing the VPRO KEYBOARD is the VPRO range of Gaming Mouse led by the VPRO V310 Laser Gaming Mouse. The VPRO V310 boasts of Rapoo's brand-new gaming chip V-power3, 32-bit ARM core, 60MHz running frequency and 1000 Hz USB report rate for high-speed response. It also has a professional gaming optical engine with an image-processing rate of 12000 FPS, 150 inches and tracking speed and up to 1000 Hz USB report rate, ensures accurate tracking, anytime. anywhere. Save and play with its built-in memory to save your mouse configuration (macro, DPI setting and breathing light mode) in the game mode so you can use your settings on any computer. Dazzle your opponents with both your skill and style with the VPRO V310’s LED Multi-color light system. With 16 million colors the V310 has an LED multi-color light system, which lets you customize the appearance of your mouse in many ways as well as to suit your preferences. It features an APM-lighting mode that reflects your actions per minute with a spectacular light show. Confidence is good, but control is a lot better, so choose from other VPRO gaming mouse such as the V25S, V280, and V26 and choose the best one that fits your gaming style. Completing the trio of essential gaming gear is the headset. A good gaming headset provides you a more immersive experience, but a great headset gives you the advantage allowing you to hear movements and audio cues of your opponent’s movements. The VPRO VH600 Virtual 7.1 Gaming headset features multi-function remote configuration free control; and intelligent VIB vibration unit that brings unparalleled shock experience. The Over-ear design provides comfort, noise isolation while the active dual microphone makes sure that you can easily and clearly talk strategies with your teammates without delay. Lastly, its over-ear design provides noise isolation and utilizes an intelligent suspension head wear that adapts to the length of gameplay hours. For entry level gamers, there is the VPRO VH200 illuminated Gaming Headset with Professional sound adjustment, accurate positioning noise-cancelling microphone, as well as the intelligent suspension head wear to make it comfortable during those marathon gaming sessions. "VPRO's aim is to take on the deadly serious world of the gaming-peripheral brands with a twinkle in its eye, without taking its eye off the top spot. After all, gaming equipment should do two things: Deliver an awesome experience for the gamer and a real benefit for the gameplay – and do all this while offering great value for money, without being pretentious,” points out VPRO CEO Michael Zeng.